In the course of history, many things have been sure. We are born, we grow, we learn and we die. However, much of that experience is purely defined by who we are born as. For as long as humanity has existed, the human race has been biologically split into the genders of man and woman, with little to no questioning behind it. However, recently, that division has been thrown into question. With the rise of awareness towards the LGBTQ community, there has been an equal rise of consciousness towards those who are intersex and non-binary, in other words, people who biologically or psychologically feel they do not fit into either category of man or woman. 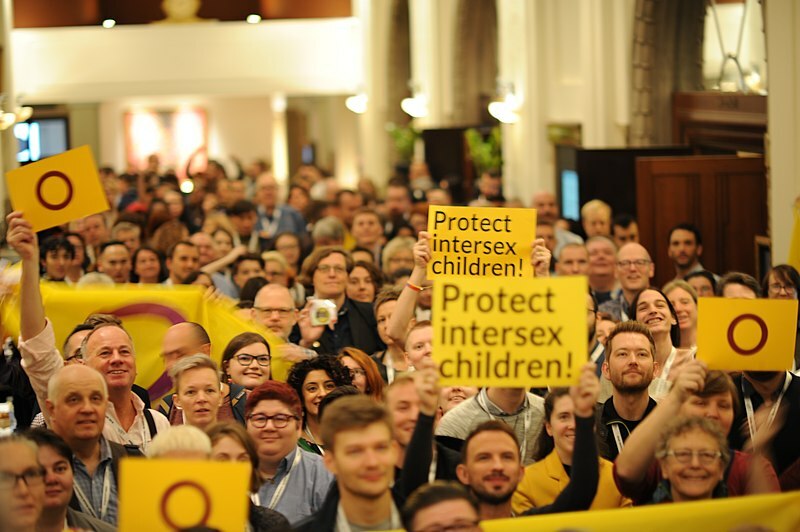 Despite, too, the rise in rights for those in the LGBTQ community, there has not been enough attention towards those who are intersex or non-binary — until now. America has often been known as the country that seems to be behind the times. We were late to the game in giving women the right to vote, allowing those in the LGBTQ community to get married, and we still, to this day, have allowed racism to affect public policy. For the first time in our nation’s history, it is time to get on the same page and agree on something: whether it is a man, woman, or otherwise, we are all human. We are all the same, flesh and blood, so what difference should our gender choice make? On Dec. 13, the Bundestag, Germany’s federal parliament, approved a law which would allow a Gender X designation on German birth certificates, becoming the first European country to do so. The law itself was created after Germany’s highest court, the Federal Court of Justice, ruled forcing people to declare themselves either a man or a woman to be unconstitutional. Also, according to the United Nations, 1.7 percent of newborn babies are intersex and many more consider themselves non-binary, and the subsequent designation proved to be inevitable. The Gender X designation, called “divers,” took effect Jan. 1, and has been declared the first step, not just for Germany, but also for the world. This is especially true here in the United States, where the laws and recognition for those who are intersex and non-binary vary from state to state. Five states completely recognize non-binary gender through both birth certificates and government-issued IDs: Washington, Oregon, California, New York, and New Jersey. Seven more states recognize non-binary gender through government-issued IDs alone: Colorado, Minnesota, the District of Columbia, Massachusetts, Maine, Nevada, and Arkansas. Ohio’s government is currently facing a lawsuit launched by the American Civil Liberties Union and Lambda Legal, which, if ruled against them, would force the state to recognize non-binary gender through both government-issued IDs and birth certificates. Finally, there is the state of Utah and the case of one Mel Van De Graaff, who was one of the first members of the state to receive a gender non-binary marker on their government documents. However, Van De Graaff received it on a slight technicality due to a combination of interpretation and no direct policy. Republican Utah State Senator Todd Weiler of Woods Cross has stated that he will attempt to broach policy that would deny the citizens of Utah that sticker. While his original attempt failed in last year’s session, he has stated he will attempt it this year. Apart from the states mentioned, there are 36 states with no policies that recognize non-binary gender, and that’s a significant problem. It may be going against tradition and institution we have held dear for many generations, but it’s time to create a new one: equality for all people.